Even though you may live on the other side of the world from your alma mater, there are many ways to stay connected. The newest of these are, of course, offered through the Penn Wharton China Center in Beijing. The Center is open for alumni use from 9:00 am to 5:00 pm Monday through Friday*, so feel free to stop by if you are in the neighborhood. Please note that facility use is based on availability. Some services will carry a nominal fee to cover part of the cost. Please contact the Center for details. If you have an idea for services you would like to see offered or an event you would like to see held at the Center, please let us know. *PWCC is closed on Chinese national holidays. Penn’s alumni presence in Greater China is 15,000-strong, with both University-wide and school-specific alumni clubs established in cities throughout East Asia. Many Penn and Wharton graduates find the alumni clubs to be a great way to connect with Penn in their local communities. If you can’t find the club you are looking for in the below listing, email the Wharton Alumni Office, visit the Penn alumni contact page, or visit the alumni contact page within the specific school website. As the number of Chinese applicants to Penn rises, alumni interviews play an increasingly important role in the admissions review process of Penn. Penn alumni speak one-on-one with an applicant, allowing the Alumni Interviewers to share information about Penn and their student experience there and to learn more about the applicant. 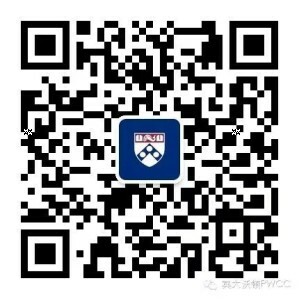 If you are interested in meeting future Penn students and helping more great Chinese high school students learn about Penn, please visit Penn’s Alumni Interview Program page. Catch up with your classmates and come back to Philadelphia for Homecoming in the fall or Penn Alumni Weekend or Wharton Alumni Weekend in the spring.